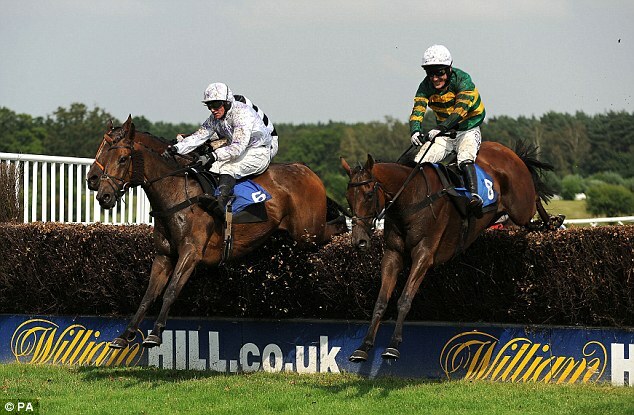 2015 Market Rasen Summer Plate: Who tops the trends? Who has the prime profile to grab Summer Plate glory? Hello NTF-ers! It’s been a while! As most of you will be aware I’ve been busy over on NTF’s sister site BDH since the flat season kicked into gear, giving NTF a good old summer break to recharge the batteries. NTF is still technically in ‘resting mode’ at the minute but I couldn’t let one of my favourite summer jumping contests go past without giving it a good old seeing to via the tried and tested trends approach. The Summer Plate at Market Rasen is undoubtedly one of the highlights of the summer jumping season and the track deservedly gets yet another healthy turn-out in numbers today for their showcase race. The betting market suggests it’s fairly open renewal (currently 7-1 the field) but that’s fine by me, that generally means we gets plenty bang for our buck whichever runners we end up pumping for. To help me narrow today’s 16 runner contest I’ve turned to my trusty trends approach. I’ve not fired up the Dosage machine for this one as I wouldn’t be much of a user of that approach for the summer jumping stuff, I’ll leave that side of things for the proper winter racing and the serious flat stuff during the summer. Of those five I’m least interested in WINGS OF SMOKE. He has come up short on each of the eight starts he has had over 2m4.5f or further, he’s possibly better on left-handed tracks and he has struggled from these types of marks (OR 138) in the past, indeed this is a career high mark at age 10. That leaves us with four. Of those four PUMPED UP KICKS is the one I’m most interested in. Dan Skelton acquired this mare from Gordon Elliott and wasted little time in getting a couple of victories into her. She could easily be a fair few lbs ahead of her current mark (OR132) and is open to plenty of improvement. The ground (currently Good) also looks prime for her today as 3 of her 4 career wins have come on such going. It’s also worth noting that Dan Skelton has an eye-catching record of 7/26 | 27% S/R – Win & Place 14/26 | 54% S/R at the track. That improves to 6/18 | 33% S/R when only looking at handicaps at the track. The mare also makes up part of my free NTF Summer Stunners guide so I do expect victories from her this summer and I expect her to go close here. BABY MIX is the next most interesting from the shortlist for me. He was a major eye-catcher for me when returning off a 474 day lay-off to finish a decent 6th in the valuable RedRum Handicap Chase at Aintree’s Grand National meeting. He has since gone on to better that run with a solid second in a valuable handicap at the Punchestown Festival and an extremely close second behind Carrigmorna King at Stratford, a rival who he gets a handy 2lb swing with today. He is another that will be suited by conditions today as he has Good or better ground form of 119021122 compared to 6352603 on Good to Soft or softer. His trainer Warren Greatrex also has solid figures at the track – 5/16 | 31% S/R || Win & Place 8/16 | 50% S/R – and I’m sure there is a decent pot in this 7yo. Of the other two – CARRIGMORNA KING & BAR DE LIGNE – both have been beaten out with Class 3 company on a number of occasions although Carrigmorna King has run some eye-catching races in a couple of valuable Cheltenham handicaps and could get involved in the business end of this. He will appreciate the large field so he can hook on to the pace and come with a late challenge through runners and it does seem that Hobbs has had this race as a target since his last start. I’m happy to play all three – PUMPED UP KICKS, BABY MIX & CARRIGMORNA KING – in what looks yet another tricky Summer Plate to solve. It’s been quiet on the summer stunners front this season. Only four have run so far, none with any real gusto either. But it’s early days still and a couple are set to hit the track tomorrow, along with PUMPED UP KICKS today of course. Best of luck if you are getting involved in the Summer Plate today.